Our company is recognized for manufacturing and exporting a wide range of packaging products like Industrial barrels, drums & paper cores and tubes & containers. Manufactured with latest technology by using quality CRCA sheets & coils, galvanized coils, sheets & closures and epoxy lacquer & paints, these packaging products are widely used for various packaging applications in Food & Beverages, Paints & Coatings and other Manufacturing Industries. Further, to suit the varied requirements of the clients, we can also provide the customized solutions as per the specifications, detailed by them. 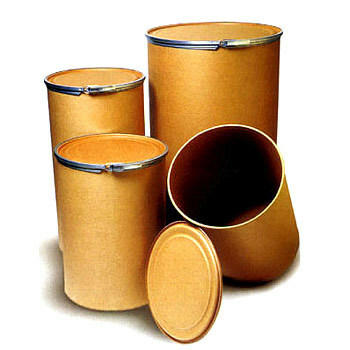 Our range of packaging products includes Packaging Containers, Industrial Containers, Drum Barrels, Industrial Drums, Fibre Drums, Industrial Barrels, Steel Barrels, MS barrels, Epoxy Coated Barrels, Bitumen Drums, Paper Tubes, Paper Sleeves and Paper Spools. We are looking for Enquiries from Delhi NCR Region, Punjab, Haryana and Madhya Pradesh.